Private Bass Guitar tutoring lessons Brunswick, TN. 100% guarantee. Private Bass Guitar instruction for kids and adults. 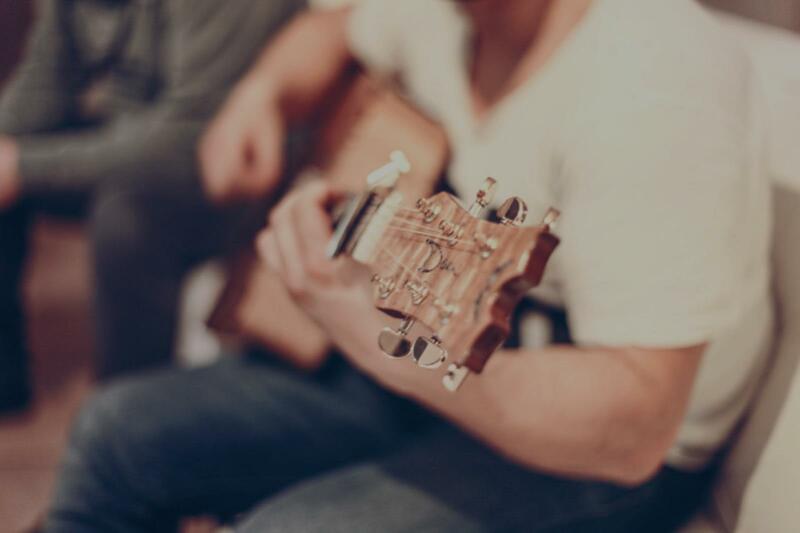 Classes designed for beginners or advanced guitarists. Book a teacher now. Check out some of our most popular teachers near Brunswick, TN including Memphis, Collierville, Germantown, Cordova and Southaven. I teach electric bass guitar. Learning guitar should be interesting and fun! While we're studying all the different aspects of the instrument, you'll also be learning how to play your favorite songs and solos! I approach each student as an individual and structure their lessons according to what I determine they need, as well as what they are interested in musically. I concentrate on many different areas; ear training, theory, playing technique, improvisation, various styles of music, and, the physics of the guitar. Understanding how the instrument works is important in my opinion. My long term goal is to teach a student how they can teach themselves down the line. Understanding why you’re playing something is just important as knowing how to play it. I aim to give a student rich and well rounded one-on-one time! ave been teaching and performing for over a decade both in the US, and in England. I have played in various bands and have produced independent artists. I have worked for a recording studio and for various academic institutions including the Filomen M. D'Agostino Greenberg Music School in New York city. I obtained my degree from Purchase College in New York and am a member of their Conservatory of Music. I construct lessons for each individual student depending on their musical tastes, goals, and current skill level etc. I want each person to get as much from their time studying with me as possible. Within three to six months, I'll have you working on timing, theory, ear training, improv, and songs/styles of music you may be interested in. I'm laid back, however, I expect at least the minimum practice time between lessons, which I'll change throughout the course of our time together depending on your skill level etc. Practice materials I draw up are included. I write out everything in plain English and do not require the use of sheet music! Small recording studio, piano, various guitars, bass, and amps. guitar, bass, laptop, digital recorder. I concentrate on ear training, improvisation, and explore styles ranging from pop, alternative, rock, prog, and blues, to metal, funk, and folk etc. I do not require sight reading skills for any level of student. Rather, I work with the student with theory and arrangement conventions to really understand the music. This intern, greatly sharpens their musical ear and helps them to learn music much faster because they understand how it is put together; why and how it works, etc. therapy dog to our lessons if they wish. Cameron is an excellent teacher for me. I am 11 years old and have been playing for almost a year with him. He is patient and makes me stretch to be a better guitarist. He takes time to find songs at my level of learning and accommodates my tastes in music. I would recommend him for anyone who is interested in playing guitar. I enjoyed my first lesson with Cameron. He explained things clearly so I could understand. Can't wait for my next lesson. Cameron is great at tailoring the lessons to my musical taste without compromising the theory, basics and fundamentals. I have been taking lessons for one year and will not go elsewhere anytime soon. His vast musical knowledge helps merge the theory with concrete examples. No question remains unanswered. Learn how to play bass guitar. Right-hand technique, including slap bass. Standard notation when desired. place of iPods), followed closely by my father's CD collection. drums and violin, I found my true musical calling: the guitar. practice, I started playing professionally, in bands and solo guitar. be a musician, not just a technician. A student can expect a curriculum tailor-made to their needs and personality. Every person learns differently and this is an important distinction in my teaching style. Some students need a strong hand to keep them working, others need to find many different ways to the same conclusion to keep them focused, while still others need a laid-back friend in order to accept knowledge. I stress rhythmic literacy, for, as my jazz teacher always said, "rhythm is king." If composition is important to you, then we'll focus on music theory, but if you're just wanting to learn how to play some fun rock tunes with your friends on the weekends, we can do that as well. As I stated before, we'll get you playing in front of people in no time. I provide an amplifier, a loner guitar (if needed), staff and/or tablature paper, metronome, pens and paper for the lessons. Classical, shred, blues, and rock guitar; renaissance lute; blues, rock and slap bass; composition of many styles; world music. Trevor is wonderful and sensitive to special learning needs. I would think the first lesson is always the hardest to start since as an instructor you don’t know what skill level you will be teaching. Trevor started the class asking what I wanted to accomplish and ended with lots of practice lessons for me to complete. Looking forward to more classes with him. Trevor is great, he has patience for us beginners, explains things well and answers all my questions. The rest is up to me. Electric bass techniques, and guitarrón concepts. We will play whatever the student would like to learn! I use the Hal Leonard Bass Method with students to give them a solid understanding of the fundamentals of bass guitar playing. I encourage my students to always find new songs that they would like to learn so we can go over them together. I attended West Chester University from 2011-2015 and graduated with my bachleor's in music education. I performed in the marching band, symphonic band, wind ensemble, jazz ensembles, various trumpet ensembles, and a brass quintet. One of my trumpet ensembles made it to the semifinals in the National Trumpet Competition. I backed up various world famous trumpet artists during the International Trumpet Guild Conference at Valley Forge in 2014 such as Bobby Shew, Randy Brecker, Tine Thing Helseth, Canadian Brass, and many others. I took lessons from Robert Skoniczin and Jean Christophe Dobrzelewski during my time at WCU. nce teaching trumpet, guitar, piano, bass, ukulele, and saxophone. We will play whichever style of music you prefer. Lessons will be fun! He explains everything to you. If you need help or if you don't get it he makes sure you know it before you move on. Matt is a fantastic instructor. Polite, knowledgeable and very encouraging. He was very patient with me and that fact that I am challenged breathing as a result of an accident. I hope I am able to continue. No reservation in recommending. Focusing on learning songs, technique and theory. I play fretted, fretless and upright bass. Guitar, Bass and Ukulele teacher with over 20 years experience located in Memphis, TN. With a fully customizable approach to teaching, Joel will have you up and playing the songs you want to learn as fast as after a few lessons. All ages at all levels of playing ability. Learning music is fun with Joel ! Not only will we be learning how to play the guitar, bass or ukulele and playing songs, but also learning how to sing them as well. As you progress along you will learn how to improvise and make a melodic solo. I will explain theory in an easy to understand way and how to compose your own songs too ! Joël has worked as a professional musician, teacher, producer/engineer, and concert promoter for the past 30 years. Joël studied composition at Humber College in Toronto before relocating to London with his alternative rock band Melt. Melt quickly grabbed the attention of the critics, and received extensive play on BBC Radio One, XFM, and London FM. Rock journalists wrote rave reviews of Melt for Melody Maker and NME and was given "Single Of The Week" status. Melt performed with Supergrass, Modest Mouse, Eels, Julianna Hatfield, and Hefner. Joël moved to New York and formed his next band, Mutronium who were voted #2 favorite of the year on WFMU Radio. Mutronium performed with Grizzly Bear, Au Revoir Simone, and BM Linx before disbanding. Joel then turned his attention to production work, producing and engineering recordings for TVT recording artists Ambulance Ltd. and 11 albums for U.K. band Hefner. Currently Joël is working on placement music for TV and films. Cant say enough good things about Joel. He doesnt get frustrated when I don't grasp a concept he breaks it down to where I can understand and work through it. Works to play what I'm interested and what I really want to play. I thought going to learn an instrument at 27 would be rough but it has been fun and enjoyable. Joel is an amazing instructor. I have had music instructors that get frustrated and roll their eyes or scoff. Not once have I gotten that from Joel. He breaks it down to where it is completely understandable and willing to work at your speed. I especially like that he isn't hung up on boring songs he pushes for what the student is interested in. Makes learning so much more fun. I thought trying to learn an instrument at 27 would make me feel dumb but Joel doesnt create that kind of environment. Only good vibes. Cant say enough good things about Joel. We are so glad that Joel is our 12 year olds Ukulele instructor. Joel is an extremely knowledgeable and skilled musician. He is especially gifted in putting students at ease and guiding them in pursuing their individual music styles. After only a short number of lesson with Joel, our shy girl is playing and singing her favorite popular songs !! Anyone can play bass, but not anyone can play like a true bassist! Learn how to play locked in with a drumkit and provide great rhythm to any band out there. Hi! My name is Keith, and I've been a music teacher for twelve years, and a BOE Certified English teacher for eightyears. I have been playing guitar and bass for 15 years, and have been playing ukelele for five. I can't wait to teach you your favorite songs, as well as help you write your own! I also offer tutoring in English Language Arts for all grades from kindergarten to college. Whether you need help starting or finishing your essay, or need help understanding a difficult text, I'm here to help you out. I also tutor for PARCC and SAT. Have the comfort of knowing a State of NJ certified teacher is helping you out! I've been seeing Keith for guitar lessons for several years now. Everyone says learning an instrument as an adult (I'm in my 40's) would be insurmountable, but Keith made it easy. Highly recommended. I found Keith to be very reliable, patient, knowledge in several subjects, flexible with problem solving and understanding of children's moods and personalities. He comes with a wide array of talent and is willing to meet your child at his/her interest level and learning style. He even switched from tutoring reading to art because my child totally refused to be tutored in reading. He came prepared and on time every time, ready to tutor in either subject because my child was difficult, uncooperative and would not stick to her scheduled sessions. Through all this Keith remained dedicated, supportive and patient. He worked with us even to the premature ending of our sessions, and even then he remained understanding and supportive of our decision to end. If there's one tutor I'd recommend; it would be Keith. He WILL make every effort to reach your child and engage them in the learning process to attain positive growth and development, you will NOT be disappointed in any way. Keith has done a wonderful job introducing my son Thomas to bass guitar. From the first lesson my son enjoyed Keith's style of teaching. Keith is very flexible in adjusting to the learning style of the student. My son had particular songs he wanted to learn and Keith was open to helping him become familiar with the instrument through the songs that appealed to Thomas. I would highly recommend Keith for students at all levels. Keith is an experienced, personable, and talented teacher. Our Bass Guitar lessons are geared for the beginner to intermediate student. We introduce tablature as well as reading music in bass clef. Beginner students start out with a flat pick then tend to move up to fingerstyle techniques. Hello, My Name is Luis I have been playing the guitar for some time now as a Hobby. I recently launched my new website providing pre-owned guitars, lessons, and merchandise. I'm currently a Third-year student at Berklee School of Music pursuing my BPS Music Degree through Berklee online. I found teaching to be one of the most rewarding contributions I can make to an individual. Awesome instructor. Easy to work with. My 14 year old son looks up to him. I feel challenged with each lesson, because of this I think have advanced much faster then I was ever able to achieve on my own. His direction helps me me to stay focused on the weeks tasks. NEW AVAILABILITY!!! CHECK OUT NEW TIMES!!! Cole is a professional guitarist and studied music at Western Kentucky University from 2014-2017 with an emphasis in guitar under Professor John Martin. He has played guitar for 19 years in a variety of styles ranging from classical, jazz, blues, rock, metal, finger style, and many others. He has also studied under the phenomenal jazz-fusion guitarist Dani Rabin from the band Marbin and also Kieran Johnston from the Scotland metal band Perpertua. He has studied jazz improv under trumpeter Dr. Marshall Scott. Also has learned much from Grammy Award winner guitarist Greg Martin. ir lessons catered to the music and styles they wish to pursue. Lessons are tailored to each individual student so that we can build upon their strengths and focus on lessons to improve weaker areas. Every student has different goals, for some it is their passion and some are starting a new hobby. Whatever the goal, I can provide the instructions to help the student succeed! All ages and skill levels accepted. No books to buy, will provide all material needed! Cole is a composer, arranger and also play a variety of other instruments as bass, piano, ukulele, mandolin, percussion, and extended range guitars. Works with several music production softwares such as Finale, Cubase, Garage Band, Logic and Protools. He has worked with artists, audio engineers, and producers such as Chris Robertson (Black Stone Cherry), Russell Brooks (The Schools, 00 The Rabbit, Solo artist) John King (Sixth Floor, South Bound, Mud River Revival), Kenton Embry (Nashville Session player and touring artist), , David Barrick (Barrick Studios), Jason Simpson (Colter Wall), Joel Whittinghill (7 time fiddle, mandolin, and bluegrass guitar champion). Cole has an extensive knowledge of music theory which he applies to lessons, as well as ear training, harmony, solfege and sight reading just to name a few and depending on the wishes of the student. At his alma mater was a member in the guitar ensemble, guitar quartet, jazz band, and classical solo guitar. He also studied music theory, jazz improv, orchestral arranging, piano, choral arranging, ear training, musical form & analysis, conducting, aural skills, music drama, and music history. Great first lesson! Super excited to continue to work with Cole. Music instructor at Lighthouse music academy. Can't find a teacher in Brunswick, TN?